The Great Electric Equalizer: the Bus? When lay individuals consider the new electric economy as it pertains to transportation, they typically think of a trendy electric sports car or its corresponding charging station. I would venture to say that seldom, if ever, do these individuals think about the stodgy old bus. Well, the bus designed and built from Golden, CO based Proterra, formerly Mobile Energy Solutions, is far from the lumbering, belching bus your grandmother knew. The 6 year old company is dedicated to making the drive components and energy storage systems for electric and hybrid buses, delivery vans and other commercial models, as well as the vehicles themselves. Just this month, Proterra landed a $20 million investment from MK Energy and Infrastructure to build an assembly plant in Greenville, SC by 2011. 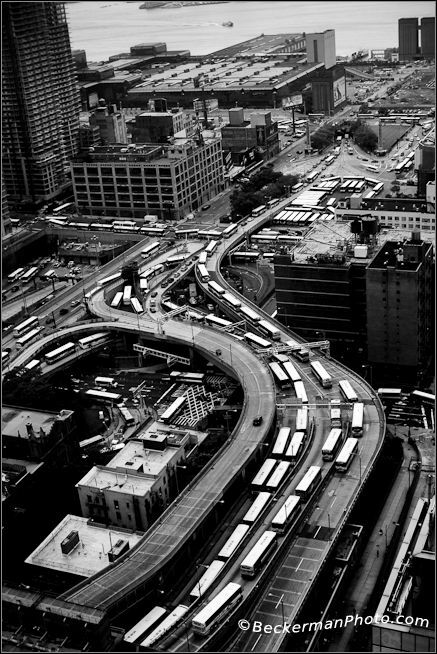 Unlike the majority of cars on the road, buses generally drive a fixed route that is highly predictable and routine. This repetitive pattern makes it the perfect vehicle to adopt a range restricting electric engine. Apparently, other cities feel the same way as Proterra has stated that as many as 21 transit agencies around the country had requested government funding for the purchase of more than $400 million worth of its vehicles. From a technical perspective, the Proterra designed bus will travel 30 to 40 miles at 11 to 13 miles per hour before it needs a recharge, which it gets by passing under a contact arm at a bus stop or a bus yard. 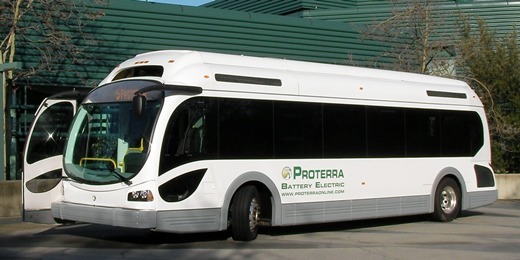 According to Proterra founder Dale Hill, batteries can be recharged in under 10 minutes. At present, the companies first and foremost objective is to reduce the price of the vehicle from approximatley $1 million to under $300,000. This can only be accomplished by manufacturing scale, an issue currently being addressed with the new South Carolina plant. From there, the largest technical challenge lies in extending the range of the battery and improving speed. 2012 appears to be the date that the company is targeting for these improvements. While the electric car field is already crowded with competitors, the nascent electric bus and truck market is releatively spacious. Smith Electric Vehicles of Kansas City, MO is one of the other companies attempting to make a dent in the heavy vehicle electric market. For now however, it appears that Proterra has a significant headstart over its competitors in the US. Generally, a good trend in cleantech power and transportation is to look at China. If the nation of nearly 1.4 billion capitalists is pursuing an initiative, chances are it will have staying power in one form or another. Well, plenty of Chinese manufacturers and state owned companies are pursuing electric buses. Just one example here. The electric bus has particularly outstanding potential. This market is truly massive. 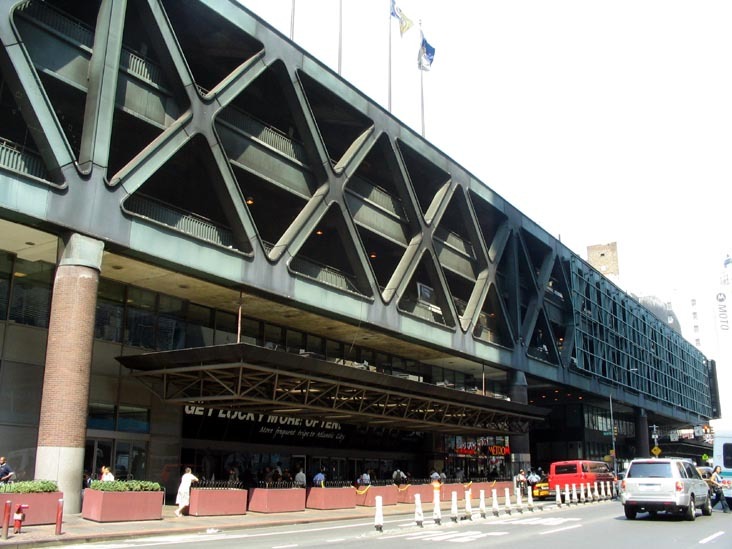 Just imagine a day in the next decade when cities like New York and Los Angelas have rapid bus networks that zip people across town while emitting zero noxious gas (so many more al fresco dining options…..). Or, envision a time when all school buses are powered by a battery, thereby making a mere mild buzz as they pass by and not the standard rumble? These days are no doubt coming. Likely, sooner than we might think. Companies like Proterra will help us get there. As the US moves ever so slowly to a transportation mix that includes plug-in electric vehicles (PEV), the lack of mileage range on PEVs has emerged as a critical concern going forward. Despite many PEVs such as the Leaf, Coda, and the BYD e6 that have made mileage claims of approximately 100 miles per charge, the general public remains extremely worried that these cars will not live up to this stated performance. Despite the fact that the vast majority of Americans drive far fewer than 100 miles per day, it is the freedom of untethered mobility that has become woven into the fabric of American life. There is nothing more terrifying to the American driver than the feeling of being stranded. This is even more magnified when driving a vehicle powered by a battery as oppoed to one simply running on a tank of liquid fuel. 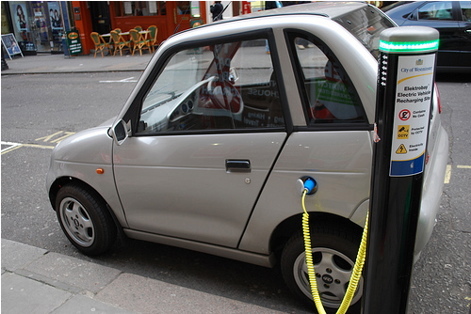 There is no doubt that one of the fundamental obstacles toward widespread PEV adoption is the lack of a successful charging (“refueling”) infrastructure. At present in the US, there does not exist a distributed network of PEV charging stations. At best, companies such as Coulomb and Better Place have a smattering of stations across mainly California. One issue these companies have faced has been finding a location that would provide for a concentrated amount of charging stations to satisfy demand. In lieu of a highly developed gas station-esque car charging network, consumers will rely on their trusty garage outlet to provide their PEV with all the electrons it will need for a full days charge. While this could be seen as convenient since one could simply charge the car overnight (though it is not clear this method is suitable for urban residents), this still does not satiate the demands of people who want to refill on the go when they’re out and about. Now that I’ve laid out the dilemma, I would like to make a rather modest, albeit not novel, proposal. It would entail massive, widespread deployment of distributed car charging stations. These would be rolled out en masse in parking lots across the country. This would have particular appeal in the suburbs as seemingly 99% of our suburban jungles are now paved over to accommodate strip malls or big box retailers. Coincidentally, it just so happens that parking lots generally provide high solar irradiation compared to rooftops or other structures. This is largely due to the lack of shadowing both from trees or high buildings. Several companies have proposed “solar canopies” and several firms are actually developing parking lots with 10-200kW of solar potential. Pairing the “solar canopy” concept with PEV battery charging stations could provide outstanding synergies. Firstly, solar is a peaking resource meaning it produces the majority of its electricity during the day when most people are doing the bulk of their driving. Secondly, with the implementation of the smart grid, this type of natural resource integration will reduce the strain on the local power utility. Overall, the pairing of the solar parking lot canopy with PEV charging stations has the potential to become as ubiquitious as gas stations. This will surely rush along the adoption of PEVs. As for the cost of the solar canopy structure itself, or the battery charging station, I will discuss this in a later post. Twenty years from today, we may just look back on 2010 as the year that electric cars hit the mainstream and put the world on a path toward widespread vehicle electrification. While niche electric cars such as Tesla and Think are already in limited production and available for purchase today, no major automobile manufacture has to date released a plug-in electric vehicle (PEV) on the market. 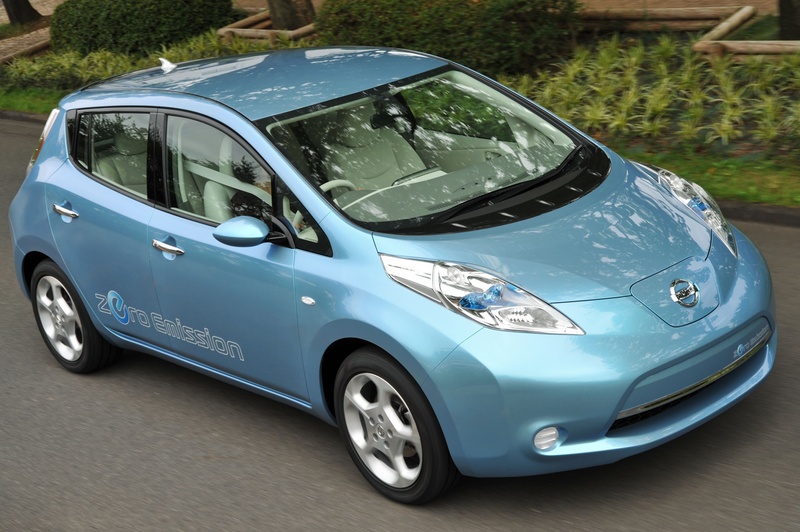 However, that will change later this year with the introduction of the LEAF from Nissan. The LEAF will be the first automobile produced by a major global automotive manufacturer that will not rely on an internal combustion engine fueled by gasoline. Instead, the vehicle will be fully reliant on a 24 kWh lithium polymer battery developed jointly by Nissan and NEC (other hybrid and electric manufactures use more standard lithium-ion chemistry). While critics of electric vehicles have voiced numerous objections to the PEV in general, perhaps the most frequent criticism has been on the topic of price competitiveness with traditional gasoline-fueled vehicles. To this point, Nissan largely puts this issue to bed by starting the LEAF at $32,780. After factoring in a federal tax credit of $7,500, the price drops to nearly $25,000. This makes the LEAF competitive with traditional, non-electric automobiles in its class. In certain states such as California, the LEAF would be eligible for an additional $5,000 in tax credits, thereby dropping the price to approximately $20,000. Seeing California is chalk full of early technology adopters, Nissan figures the LEAF will sell well in the San Francisco and Los Angeles market (both markets also happen to be hotbeds for battery and electric car company start-ups). Range anxiety is another consistent fear expressed by PEV critics. Despite Americans propensity to drive more than our global counterparts, the vast majority of Americans drive less than 40 miles per day. Nissan officially claims that the LEAF will get approximately 100 miles on one charge. However, recent test drives have indicated that even this number is conservative and the range will likely be higher. This 100 mile range will likely satisfy over 90% of Americans driving needs. Nissan is currently working on fine-tuning its vehicle charging strategy. At present, the LEAF will be able to reach a full charge in approximately 8 hours by simply plugging the vehicle into a standard garage power outlet. However, Nissan is currently in discussions with numerous electric utilities and third party charging station technology providers. In foreign markets, Nissan has signed an agreement with Israeli start-up Better Place to manage the vehicle’s battery by swapping the battery out at swapping stations when it becomes depleted. Nissan is expected to test this model in the United States by 2012. The holy grail of vehicle charging is clearly the uber-fast 3 minute charge, which would be akin to a trip to the old gas station. This is currently technologically unfeasible, however certain fast-charging stations are becoming available that can charge a vehicle in 30 minutes. Stay tuned for more progress on this front in the coming months as this issue has been grabbing the attention of prominent VCs. Much of Nissan’s progress on the electric vehicle front can be traced to its Brazilian born CEO, Carlos Ghosn, one of the most dynamic visionaries in the auto industry today. I would liken him to Apple’s Steve Jobs (although I think Mr. Ghosn has a general disdain for black turtlenecks) with respect to his charisma and ground breaking ideas. Mr. Ghosn predicts that over 10% of the global vehicle fleet will be electric by 2020. No small feat since today that figure stands at less than 1/1000th of 1%. It remains to be seen whether Ghosn will be as successful of a marketer as Jobs. This ability to communicate with the public will surely be absolutely essential to the nascent industry’s development going forward. Currently, Ghosn is already seeking out solutions to some of the most pressing current issues pertaining to electric vehicles such as extended range and secondary usage of the battery after it is no longer capable of working in an automobile. These are two fundamental issues that will require dynamic innovation going forward and will both be addressed in subsequent posts.